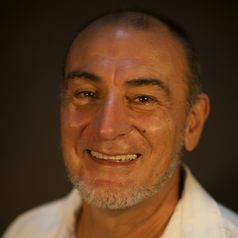 Peter Pollard is an Associate Professor at the Australian Rivers Institute, Griffith University. He is a Microbial Ecologist with a PhD in Chemical Engineering and Microbiology from the University of Queensland and MSc (by Research) in Biochemistry from La Trobe University, Melbourne. Over the last 25 years his marine and freshwater research has changed the way we see the relationships between microbes — algae, cyanobacteria -“Blue-green algae”, bacteria and viruses and their role in coastal zones, rivers, lakes, wetlands ecological processes. Most recently his global quest to find the link between microbes in freshwater and the imbalance in the global carbon budget has taken him from the rivers and lakes of the subtropics of SE Queensland to the heart of the rainforests in the jungles of Central America, the Amazon in South America and the Boreal Forests of North America and Canada. After many years of research he is now able to describe how the CO2 from microbial respiration in freshwater is the critical link between terrestrial environments and atmospheric CO2. Most people view these small organisms as insignificant; however, Peter sees them as a major component in the global carbon budget and influence on climate change.